Two years on since the EU referendum, how has the property market fared? "Despite uncertainty surrounding Brexit, the UK property market remains increasingly competitive, thereby increasing the chances of people experiencing a broken property chain or being gazumped during the final stages of completion"
23 June 2018 marks two years since the UK made the historic decision to leave the European Union (EU). The implications of the vote were almost immediate; on the morning of the result being announced, David Cameron announced his resignation as Prime Minister, which was followed soon after with the appointment of Theresa May as his replacement and the person ultimately responsible for managing the UK’s withdrawal from the EU. Since then, the UK has witnessed a series of profound political events – in March 2017, Theresa May formally triggered Article 50, signalling the beginning of a two-year countdown to a final date for Brexit. This was followed soon after by a general election that resulted in the Conservative Party losing its majority and the nation being left with a hung parliament prior to the formation of a minority government. 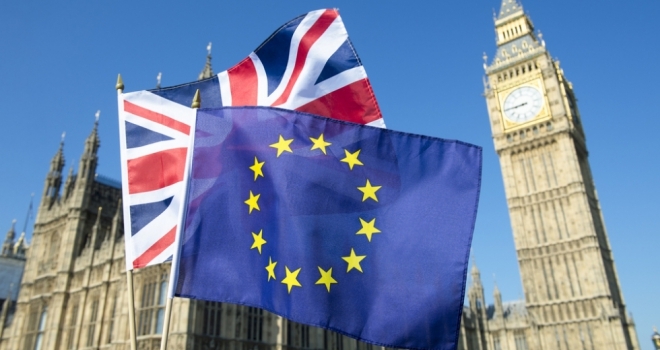 With March 2019 set as the day the UK will formally leave the EU, little has been revealed as to how the process will be managed, with regulatory details regarding migration, taxation and investment still not made public. As we approach the two-year anniversary of the Brexit vote, now is an opportune moment to reflect on the economic and political events that have transpired over the past 48 months and assess the impact they’ve had on the wider UK investor community and, in particular, the UK property market. In the aftermath of the EU referendum, economic forecasters were quick in foreshadowing a prolonged period of financial instability and stagnate investment activity. In reality, the UK economy was able to quickly bounce back from the initial market shock arising from the announcement and post positive forecast figures. GDP growth in both 2016 and 2017 remained at roughly 2%, which was similar to 2015. Moreover, a long-term projection report by Price Waterhouse Cooper anticipates the UK to be the fastest growing economy in the G7 over the current period to 2050. This strong headline performance of the economy is partly a reflection of the positive sentiment that resonates across the UK’s wider investor community. A nationally representative survey carried out by Market Financial Solutions (MFS) at the beginning of 2018 revealed that 77% of investors think Brexit is unlikely to affect their long-term investment strategy, and have not changed the way they have invested since the EU referendum result was announced. When we look at the performance of specific sectors, such as commercial and residential real estate, market demand for UK assets remains consistently strong. The aforementioned MFS survey also revealed that more than half (53%) of investors would rather direct their capital into traditional assets such as property instead of newer asset classes. Moreover, 63% of investors currently consider property to be a safe and secure asset, reaffirming that in times of political and economic transition, investors traditionally levitate towards safe and secure assets positioned to deliver regular long-term returns. For UK investors, low interest rates have offered relatively small returns for those relying on traditional savings account to accrue capital. At the same time, uncertainty surrounding Britain’s withdrawal from the EU has had a noticeable impact on the UK stock market, with the FTSE 100 Index falling by 8.3% over the course of Q1 2018. This has also contributed to property’s popularity as an asset class, reflected by the perpetual rise in average house prices over the past year. In April 2018, the average house price in the UK was £226,906 – a 3.9% increase on the previous year’s figures and a 6.6% rise since the EU referendum. Since the EU referendum, alternative finance has also established itself as a viable source of capital for those in need of a loan to quickly secure a property or act on a lucrative business investment opportunity. Annual bridging completions by members of the Association of Short Term Lenders now stands at roughly £4 billion, and there are no signs of this slowing down anytime soon. For example, it was recently revealed that the value of loans written in Q1 2018 were nearly 33% higher when compared to the same quarter last year. Despite uncertainty surrounding Brexit, the UK property market remains increasingly competitive, thereby increasing the chances of people experiencing a broken property chain or being gazumped during the final stages of completion. As we prepare to recognise the two year anniversary of the EU referendum, it is important that investors are aware of the full suite of finance options available to them, ensuring they can take advantage of the UK’s real estate opportunities.